LIFE Outreach’s answer to Christ’s challenge is a global evangelism ministry that presents the Gospel message to millions. In partnership with missionaries in the field, ministries and churches around the world, LIFE has directly supported open-air crusades, film evangelism, one-on-one street ministry, outreach campaigns at our LIFE Centers and crusades at water well drilling sites. LIFE maximizes every available opportunity to reach souls for Christ. 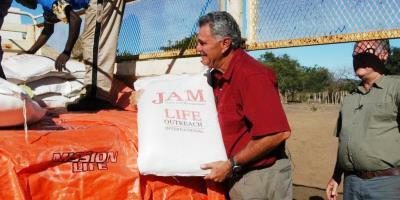 We incorporate evangelism into our crisis relief efforts and as we fulfill our various mission projects. 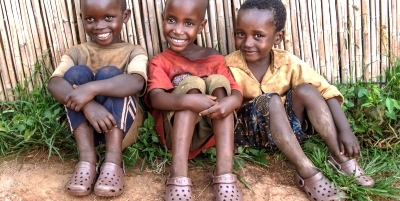 For example, while providing communities with the essentials of food, water, medicine and shelter following a natural disaster, we pray for and present Christ to the hurting, and our global water well projects also open the door for us to share Jesus, the Living Water, with residents who are physically and spiritually thirsty. The India Film Evangelism effort is uniquely designed to reach communities with the story of Jesus in the language and dialect indigenous to the area. God continues to bless this campaign to win souls for Christ in this subcontinent, even in dark places where opposition to Christianity has historically been very strong. We welcome prayers and support for all of our evangelism efforts. Every gift is an investment into the eternal destiny of souls as we fulfill Christ’s divine mandate to share life.